A very long time ago, there was a woman named Mary. 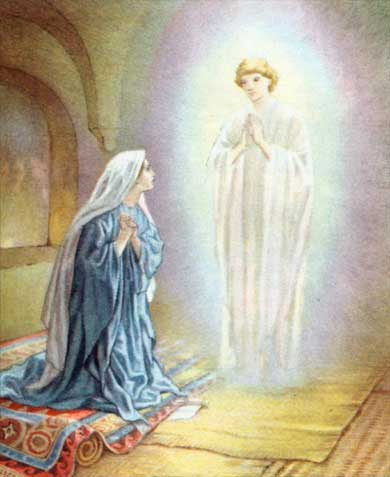 One day, the angel Gabriel came to visit Mary. He came to bring Mary good news. When Mary saw angel Gabriel came to visit her, she was afraid. Mary said, “I am the servant of God. May it be as you said.” Then the angel left Mary. Before Mary gave birth to the baby, she was betrothed to a man called Joseph. Joseph is a good man. He doesn’t want to expose Mary to public disgrace and he planned to call off the wedding. After Joseph woke up, he went ahead to take Mary as his wife. Joseph did not lay with Mary until Mary gives birth to the baby. Joseph called the baby boy JESUS.